Below are all available homes for sale in Winter Springs. If you would like more information on any of these Winter Springs real estate listings, just click the "Request More Information" button when viewing the details of that property. We can provide you with disclosures, past sales history, dates and prices of homes recently sold nearby, and more. Brady helped me buy my first home. I was looking and ultimately purchased my house in College Park. He is very knowledgeable about the market, patient, and has a lot of experience with home improvement stuff. He always made sure I felt comfortable and understood the details. My home had a tenant present, and I took over as the landlord for the last month of their lease. Brady saw that process through to the end and made sure all parties were comfortable and happy. It could not have gone more smoothly. I will definately recommend him to friends and family. I'd highly recommend Brady Pevehouse as your Real Estate agent. He helped me through the search process and the challenging mortgage application process right up to the close and help after the close. He really cares about his clients and puts his "all" into getting everything done with minimal stress on the client. He's so patient explaining all the real estate details to those of us who don't deal with this type of info on a daily basis. You rock, Brady!!! I first met Brady in December 2017. Before we even started working together, he spent 2 hours on the phone with me to answer many questions about owning vs renting, costs involved, creative ideas about out of the box ways to think about different areas & condos vs houses. In March 2018, I contacted Brady about a local listing that wasn’t originally in my budget. With no questions asked he immediately made arrangements to show it to me. Brady was honest with me & always has my best interest in mind. We looked at a few more condos. In April 2018 he found me my first downtown condo that I closed on a month later. Being a first time home buyer I knew nothing about hiw to find a lender or mortgages. With Brady’s connections he was able to find me a lender that would work with me on getting the lowest interest rate on my mortgage. He also did research on getting several home owners insurance quotes. He transported me to showings, walkthrough & closing. After the inspection, he offered to assist me in repairs. He went above & beyond. There was a lot of moving parts & lots of financial & area constrants I had due to my salary & visual disability. Thank you Brady for your knowledge, takents, skills, abilities, kindness, dilligence, patience & time. I appreciate Brady's fast attentiveness and thoroughly going over in detail what options are honestly best for my situation. I have been working with him since 2012 when I bought my first downtown condo and he still delivers the same attention to detail today 6 years later. Brady was instrumental is guiding us around Central Florida and specifically Orlando area properites. He was professional and never showed us anything we didn't specify. I would highly recommend his services to anyone who is interested in purchasing a piece of property in Winter Park. Brady Pevehouse is an experienced real estate agent with excellent knowledge base on the housing market. Walked us through buying our new house in Altamonte Springs and selling our old house in College Park. Brady's experience in construction was also a great help. He has excellent negotiating skills and made the overall experience easy. Highly recommend. Brady Pevehouse is the consummate real estate professional. We've benefited from his superior knowledge of the Orlando area markets and his personal skills and general good nature when dealing with buyers, sellers, renters and leasers. He was outstanding when assisting my wife and I when we first bought our Baldwin Park condo in 2011 and immediately assisted in finding two renters since we moved from Orlando to San Diego in 2012. Brady was and is always available to go the extra mile when we've come to town to check the condition of the condo and extremely helpful with his advise for any repairs and interactions with our Home Owners Association. Quite simply, he is the "go to" guy for professional real estate requirements and has the personal demeanor of someone with whom we feel confortable to relate with as a family friend. 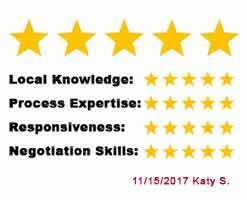 I have used Brady in countless requests from helping me refinance my home, to helping me find the best property to fit my business needs. Brady's professionalism allows the ease of doing business. He is always prompt with responses and his communication is excellent! As we all know, communication is the key! You will always know where you are in a process all the time when you work with Brady. He is there 120% for his clients!!! Brady is an excellent realtor! The knowledge and professionalism he uses and possesses is unpresidented.Not only did he walk us through the whole process with care and understanding he also made sure communication was given to all stakeholders from beginning to end. Futhermore he is courteous, kind, patient,and works hard to make sure you have the easiest transistion possible. Brady, helped my family buy a house for my daughter to live in while she goes to college. He is the best. He listens and then works hard to find what you need. Even better than that, he knows the area so well that he was able to guide us in ways we didn't expect. For instance, we were not aware of how difficult parking can be in a college town. He showed us properties that had plenty of parking and were very close to the college. After the sale, he was there to guide us with any minor work we needed to do on the house by recommending excellent help from his extensive list of contacts. Even two years later, he still checks in to make sure things are going well. I can recommend Brady with complete confidence. He knows his business and takes care of his customers. It was a pleasure working with Brady when looking to purchase a home for our daughter while she attended college at UCF. Brady lterally spent weeks with us not only looking at homes, but as well orienting us about the various neighborhoods we were considering around the campus. He was sharp and insightful with his negotiations prior to the purchase. Several years later, after our daughter had graduated, his marketing and sales skills helped us find the right buyer at the price we were looking for. He's the right person to have in your camp whether buying or selling. I have known and done business with Brady for 8 years in his capacity as a Realtor. He has always been prompt and polite in his interactions with my renters and buyers. He is a consummate professional and I highly recommend him to anyone needing the services of an experienced Realtor. Market Insiders receive weekly email alerts with updates on recent sales, homes under contract as well as cumulative list of new listings.